Focussed on achieving a fast swing speed with just 229 grams of weight and a unique blend of SuperFast Technology. Larger head, longer shaft length and lighter weight for a high clubhead speed and ball speed potential. The advanced clubhead shape incorporates a deep and rearward centre of gravity to help you launch your balls higher and further. Boasting awesome distance, TaylorMade's new Burner driver comes unless otherwise stated with a SuperFast Fujikura RE*AX 50g graphite shaft. The driver arrived promptly and appeared to be in very good condition considering it is a model from 11 years ago . More importantly it seems to fly as well as any more modern technology costing a lot more . As a beginner to the world of golf this seems to fit the bill very well. 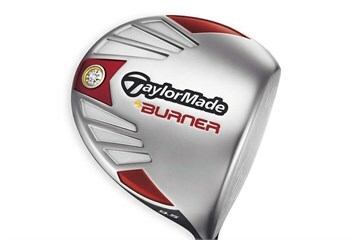 Already had the 3 and 5 wood in this model, so i picked up the driver from Golfbidder. These woods are older, but they do go straight and far for me, so I`ll keep them in the bag. The driver is in excellent condition. All good. always used this club must suit my swing speed/kick point-great distance easily!